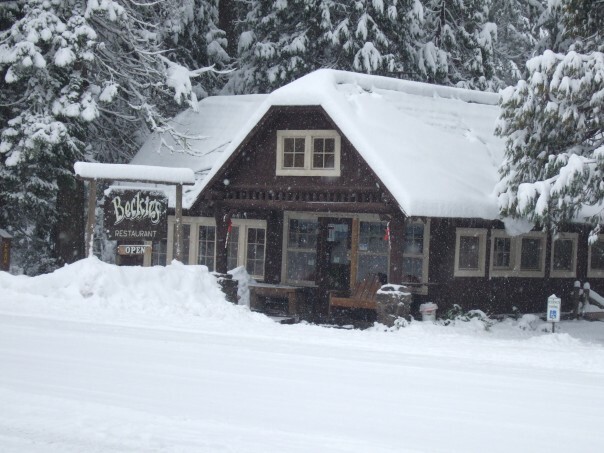 Beckie’s Cafe, listed on the National Historic Register, was built in the early 1920s by Ed Beckelhymer and sits along the banks of Union Creek, near the Rogue River, a scenic waterway that is enjoyed by many rafters and fishermen. Historic Beckie’s is known for its huckleberry pie, with local-picked fruit. Year after year guests return to the fresh mountain air and the smell of the pines, getting back in touch with nature in a peaceful and tranquil setting that takes them back in time. Explore the Central Cascades on your own with this official National Geographic map. © 2010-2011 Travel Oregon and Experience Washington in association with National Geographic .